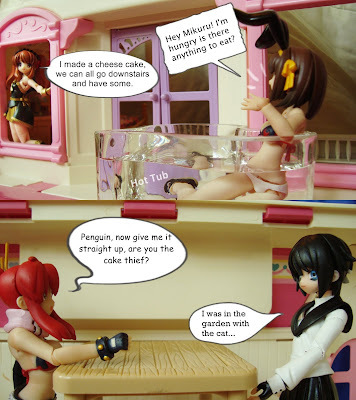 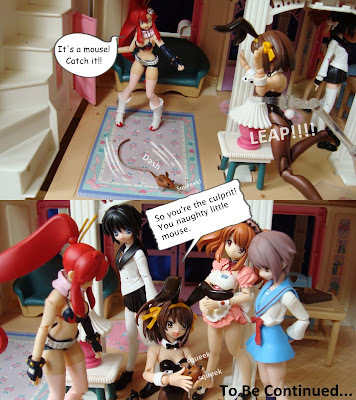 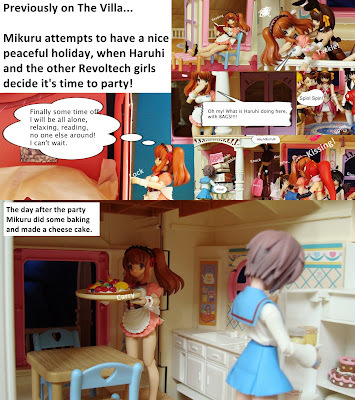 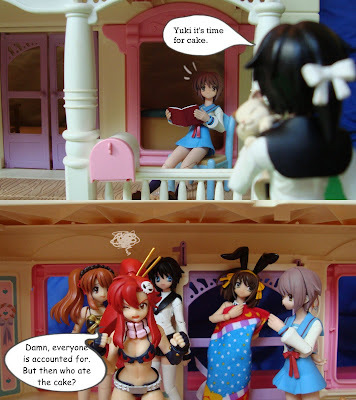 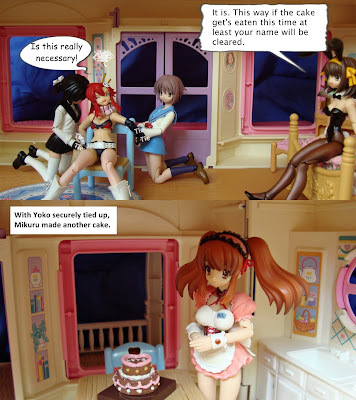 After gate-crashing Mikuru's new-year holiday the Revoltech girls find that there is a thief amongst them. 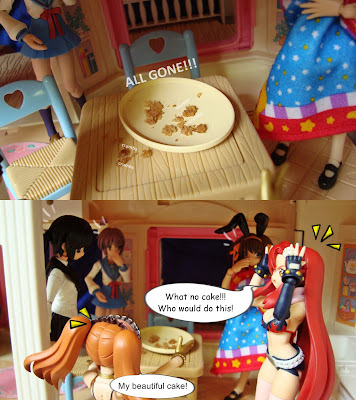 Will Yoko be able to uncover the thief before all their cake is gone? 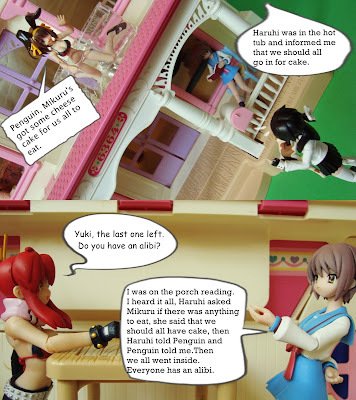 Find out in this episode of Figure Comic – Summer Holidays – The Villa - Part Two. 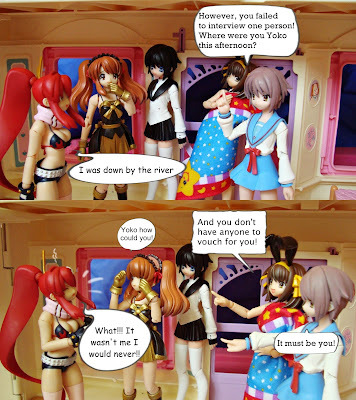 Please stay tuned in for next weeks Figure Comic Summer Holidays Series, while the rest of the Figma girls are busy at camp Vita goes in search of a little adventure of her own! 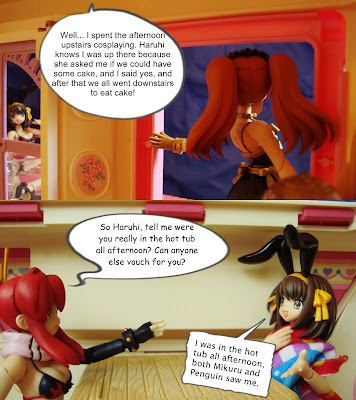 By the way, have you receive the stuff from me yet? 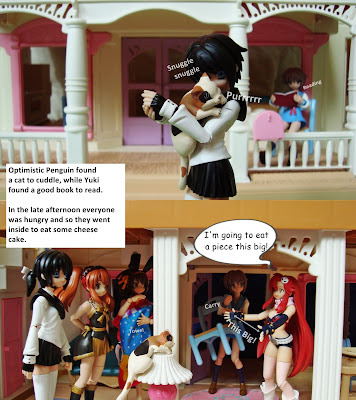 @ David - it is indeed this is a fisher price dolls house it actaully doesn't belong to me, I just borrowed it. 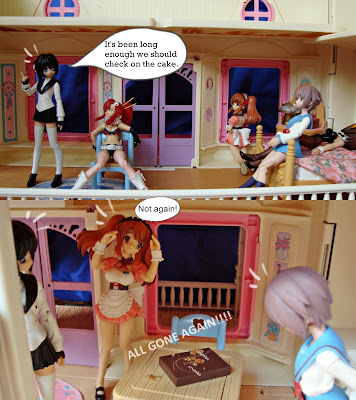 I want to get some more props which are Figma scale at some point, the Cafe and the dolls house are a bit big for Figma's and they are feeling left out.